Sevilla is the capital of Andalusia and the most important city of Southern Spain in the areas of politics, economics, arts and culture. It is located in a big valley along the river Guadalquivir, and enjoys an extremely warm climate with very mild winters and long, hot and dry summers. The city includes the largest historic centre of Europe with a lot of beautiful, historic sights. The cathedral Maria de la Sede is the biggest Gothic cathedral in the world, built on top of a Moorish minaret, and also Alcázar, a royal palace dating from the fourteenth century is really worth a visit. 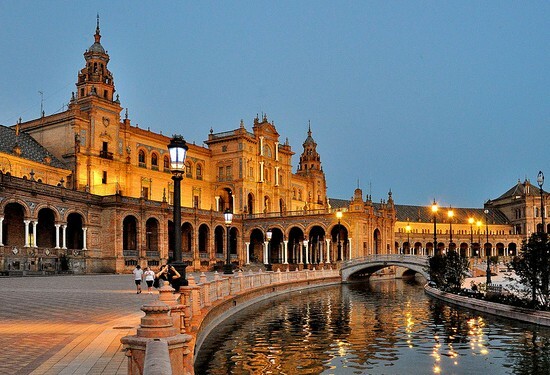 With an airport nearby and a railway connection to almost all cities in Spain, Sevilla is very reachable from any place in Spain or abroad. Making it a perfect place to stay or reside. Due to the crisis, a lot of houses in Sevilla are repossessed by banks. These villa’s and apartments are now in forced sale. This gives you the opportunity to buy your perfect home in Spain for a very profitable and affordable price. Here you find an overview of all bargains in Sevilla.